"God has called them all home. For those of us who remain, let us find the strength to carry on and make our country worthy of their memory," ~ Pres. Barack Obama at Newton, Connecticut. I tried to make sense of what happened. I tried to write something, anything. I'll never understand why all those sweet innocent children were killed. They deserved to grow, to live. They will be missed. I hope you enjoyed your Christmas! Have a happy New Year! It was a sad day worth lighting candles for. I lined up the tea-light candles on my kitchen counter. Hope you had a wonderful Christmas, too and Happy NEw Year! Hi anne. Wishing youva happy new year too and thanks gor the nice comment. 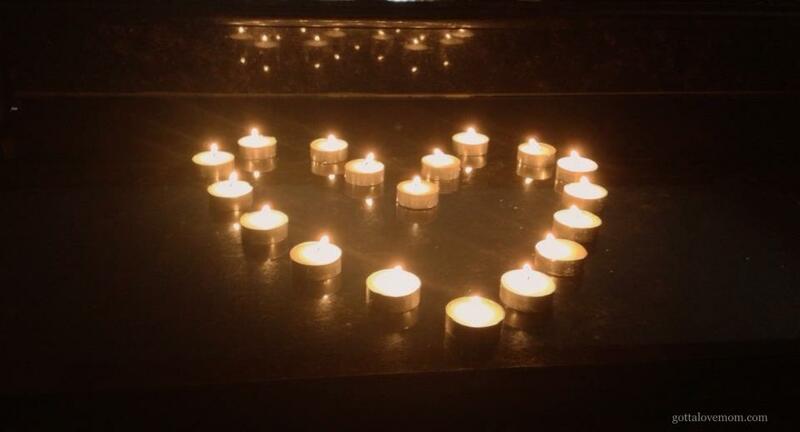 By the way, nice heart candle lights. We dont understand why innocent children get killed. We just have to mive on and believed that they have it better in heaven.